In such a fast paced setting, it can be hard for business owners to focus their attentions elsewhere. Our aim is to offer customers a straight-forward sign-up process for merchant services. With our extensive industry experience and wealth of knowledge, we have created a simple application process, which is coupled with your own account manager who will support you with all aspects of the application. We will help answer any questions you may have, and take you through the process to ensure we get you and your business set up with merchant services as quickly as possible. The area of merchant services can appear daunting from an outsider looking in and can appear complicated to business owners and cause confusion amongst business owners with so much to choose from. Wireless Terminal Solutions are experts in the area of merchant services, and we hope to make things as simple as possible for our customers. Are business bank accounts the same as merchant accounts? Put quite simply, no! Business owners sometimes confuse merchant accounts with bank accounts. They are two totally separate entities. A bank account is where your business funds are stored. A merchant account is a credit account arranged between the merchant and acquiring bank. Not all acquiring banks offer the same merchant services. There is a common misconception that you need to get your merchant services from the bank your business account is with. This is not the case – you can bank with one financial establishment and have your merchant services account with another. There is no extra cost to have this facility. This allows you to shop around for the merchant service best suited to your needs. We protect your payment data so you can concentrate on running your business. In some instances we can offer customers same day settlement on transactions into your business bank account. We offer modest merchant service charges that never break the bank. Our merchant services will allow your business to accept multiple ways of accepting card payments including Visa & Mastercard amongst others. By choosing merchant services you aren’t restricted to cash only transactions, nor will you be dependent on cheques or to take invoices. Let your business take advantage of the latest card machines combined with contactless enabled technology. All our products and merchant services are PCI DSS compliant meeting global anti-fraud standards. Can I switch from my current merchant services provider to Wireless Terminal Solutions? Yes, it is now extremely easy for a business to switch their merchant services to Wireless Terminal Solutions and 2018 has seen more customers switch their merchant services than any previous year. If you want to follow suit like many hundreds have, we have great potential savings waiting to be explored. This could be for businesses looking to change their face to face payments, e-commerce or MOTO payments. We make the switch painstakingly easy, and your business can be equipped with the latest card machine with contactless enabled technology in a matter of days. 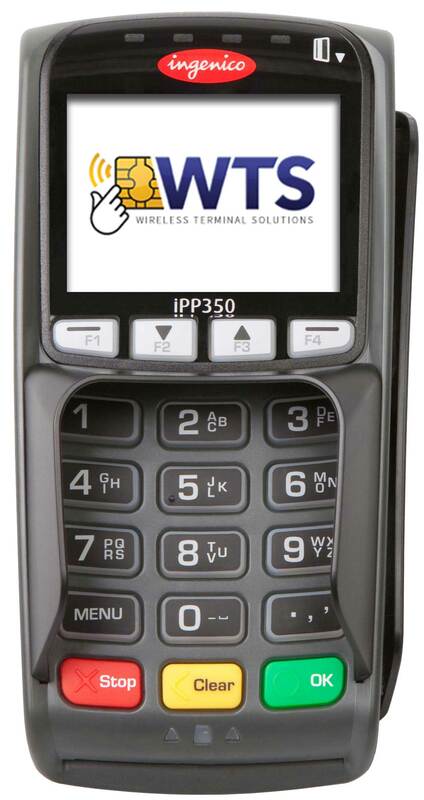 Why choose Wireless Terminal Solutions as your Merchant Services provider? With a collective industry experience amassing 80 plus years, the team at Wireless Terminal Solutions are experts in all aspects of merchant services. Whether you are new to cards, looking at switching providers and saving money whilst receiving a better service or you are looking for a bespoke quote or you just want some additional information we can support your enquiry. We can arrange the whole process on your behalf. With our wide range of merchant services, you can boost sales, streamline your administration and even broaden your client base by accepting credit and debit card payments online. After you complete a simple merchant services application form, we then liaise directly with the merchant acquirer to set up your account. Everything is detailed meticulously and there are no hidden extras. Once you have the merchant account set up, you will receive a statement at the end of each month detailing all of the credit activity on your account. We don’t just offer an expansive range of payment acceptance solutions, but are renowned for our expansive versatile card machine solutions to meet your needs regardless of how you trade or operate. 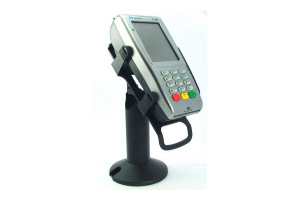 We offer four main types of card machine: mobile, countertop, portable and Wi-Fi. Whether you want to accept card payments in person, on the go or over the phone, we have the right solution to meet the needs of your business which all comes with UK based technical support. We have most applicants up and running with their merchant service requirements in three days* and as soon as the account is approved, the credit card machine is deployed from our Surrey headquarters. We are an official reseller to the UK’s leading card manufacturer Ingenico and our card machines are accredited with every UK acquirer bank. 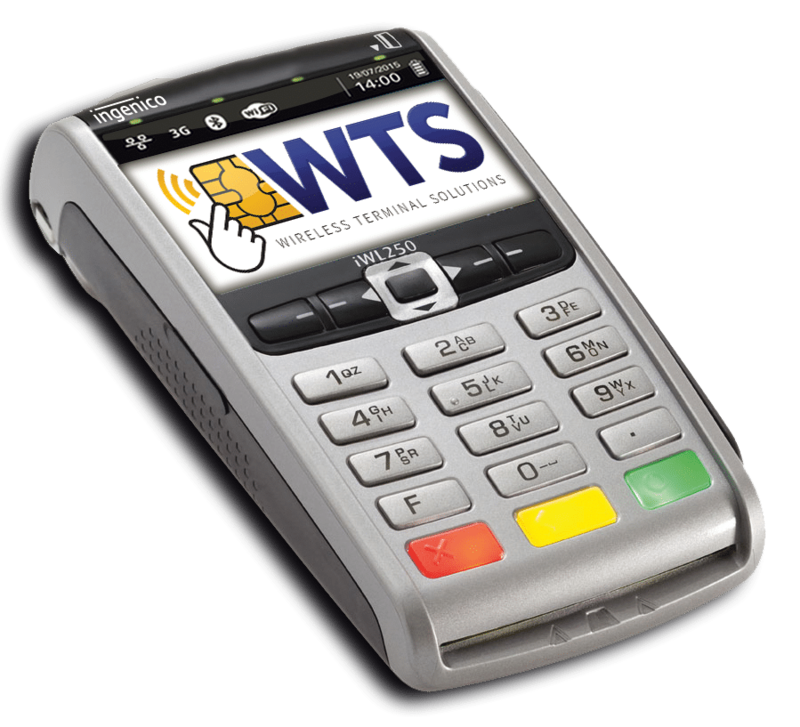 Wireless Terminal Solutions can help you take secure credit card payments over the phone, on the move, or in person. Whatever your business sector, our ultimate commitment to the customer is to help you choose the right merchant service for your business. We offer credit and debit card payment solutions as well as merchant services, to businesses of all shapes and sizes from sole traders to major blue chip organisations. To find out more about our merchant services click here, or contact us today to see how we can help. What do merchant services cost? Some merchant services providers charge a set up fee, others don’t. You will then have merchant services transaction fees, which is a set fee a business would pay on debit and credit cards for each transaction. In this instance, it is normally a flat rate or a percentage and you may have to pay an authorisation fee. What are the benefits to having merchant services? Put quite simply the opportunity for increased Sales. The last decade has seen the amount of businesses accept card payments with merchant services grow tenfold. It is fact, that more payments have been made by cards than by cash in the last few years. Any money your business processes from card payments go into the merchant services account before being transferred to the business bank account. Merchant services is an online bank account set up with a merchant services provider, so it’s separate from your business bank account. What are some of the key advantages to having merchant services? How will the introduction of merchant services benefit my staff? Introducing merchant services means staff handle less cash, reducing the potential for simple mistakes. How long does a merchant services application take? In most cases a merchant services application takes anything from 2 – 5 working days, once the customer has completed all relevant documentation. Every merchant services application is different and this can be based on the way the business operates, what they sell and where they trade from. How to be kept up to date with a merchant services application? All reputable providers should assign a dedicated account manager who manages all aspects of the merchant services application, and should keep all suitable parties involved in the merchant account application up to date. Where do I get a merchant services application form from? You will need to contact an affiliated merchant services acquirer (this can be a bank, ISO or independent seller) which you can source through Google. They will support and guide the business through the merchant services application form. How do you get help with your merchant services application? All companies who offer merchant services facilities should provide an infrastructure to provide merchant applicants the necessary support where required. If you are unsure, ask when you make an enquiry. What documentation do I need to provide on a merchant services application? In most cases the customer or business will need to provide proof of their business bank account. In addition, proof of ownership/director and copies of passport and address may be required. Everything will be outlined on the form and it is mandatory regardless of which merchant acquirer you use. When I switch merchant services do I terminate my current agreement? Everything should be outlined for you. If you are unsure check your current agreement. There have been instances where people have cancelled their merchant services agreement and then been penalised as they have broken their contract. Who is my merchant services agreement with? You should receive a monthly merchant services statement detailing all transactions and any relevant charges. Some businesses work with independent suppliers or an ISO but they will have a direct relation with one merchant acquirer. If you are unsure speak with them. Who settles my funds on my merchant services? This will always be done directly by the merchant services acquiring bank. Even in instances where your relationship is with a third party or ISO all settlement funds are never, at any time, held by a supplier. What is the cost for terminating my merchant services contract? This should have been outlined in the initial set up. In this instance we would suggest referring back to the original agreement, and if not speak with the acquirer outlining what implications there are for terminating the merchant services agreement. Should I worry about PCI compliance on my merchant services account? PCI DSS standards exist to protect the security of your customers’ credit card data. All UK based merchant accounts need to be PCI compliant and there is a criteria of requirements. It is paramount that every business that uses merchant services has this. This should be outlined in your merchant services agreement. How to add AMEX to my merchant services account? This should be offered at the time of setting up the merchant services account application. If you need to add this midway through the account, speak with AMEX at their Brighton offices and they will assist in getting this added to your merchant services account. When do I receive my funds on my merchant services account? In most instances it is typically 3 days but any restrictions should have been outlined at the time of signing up. In some cases some merchants are able to offer next day funding but this isn’t available to everyone. Do I get separate merchant services account numbers for debit and credit cards? You will have one merchant number for face to face transactions that apply to all debit and credit cards. If you accept AMEX that will be an additional merchant services account number. If you were looking to accept payments online, or via your website you will need a separate merchant account set up. How are my monthly fees paid on my merchant services account? Monthly merchant fees are automatically debited from your business bank account normally in first week of each month for the previous month’s fees. This will be outlined and differs from each acquirer. Can a sole trader have merchant services? Yes. Anyone who is trading regardless of whether they are a sole trader, limited company or multinational retail establishment can accept debit and credit cards. How long should I keep my merchant services transactional documents? Most financial establishments in the merchant services industry recommend you to keep all transactional data and documentation for a period of at least 18 months. How do I order an additional card machine for my merchant services account? Speak with the merchant services acquirer, or speak with a card payment specialist. Can I accept payments in more than one currency on my merchant services account? Yes. It is advisable to check with the relevant merchant acquirer to see if this is possible. We suggest speaking with the relevant merchant services provider to discuss the currency you wish to trade in and how you wish your account to be settled. What types of card machines come with a merchant services account? You have 4 options. You have the mobile option which connects via a roaming SIM card. You have the portable option which connects via a router. The popular Wi-Fi card machine or the traditional countertop card machine which is popular for retail businesses who use merchant services account.